Ah yes, this place again. 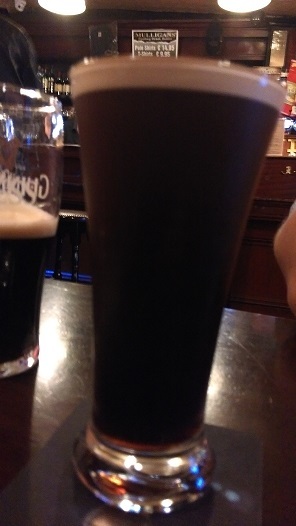 My favourite Guinnessing-hole. If you haven’t already seen them, check out my previous pint-reviews for Mulligans which show top pintability on both occasions. As expected, it was no different time time. A head with perfect consistency that’s pure creamy heaven & that 4/4 for taste right to the final, beautiful gulp. Superb head retention, as evidenced on the glass in the pic below. Excellence in every way; a Guinnesslovers dream. 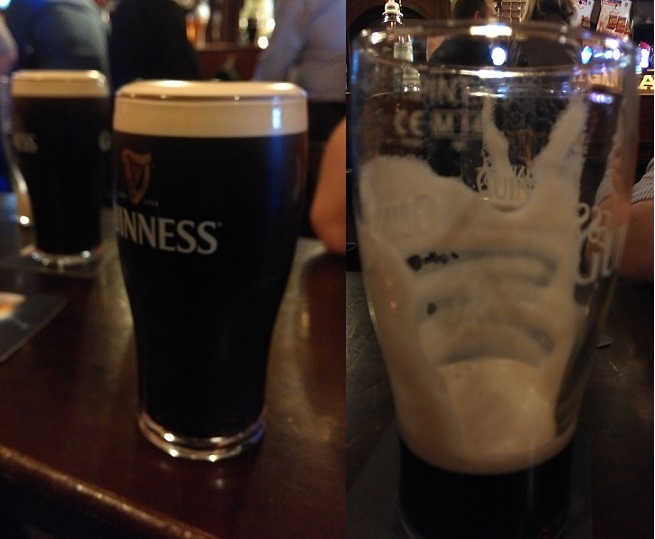 So, a word of advice; if yer tryin te take it easy, just get a glass of Guinness instead of a pint of Guinness Mid-strength & drink it slower so that you finish up at the same time everyone else finishes their pint. Take it from a Guinnesslover, you will not regret taking course this action.